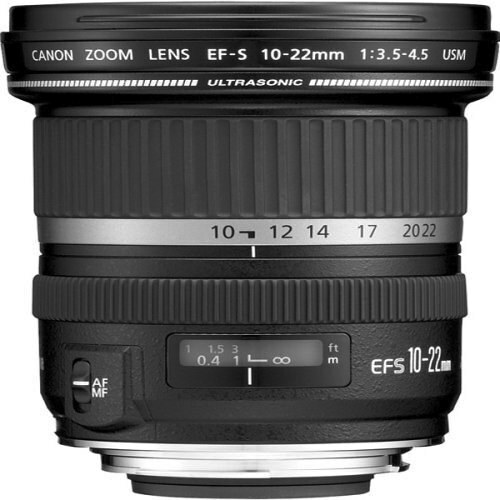 This post is a compilation of links to Canon EF-S 10-22mm f/3.5-4.5 USM tips and techniques. Attribution is given by linking to the source. My comments are prefixed with “DLC:”. It’s an excellent lens for landscapes and creative stuff, even for portraits it can be great. The lens vignettes a bit at 10mm, and there’s some chromatic aberration, most of it can be corrected but not all. LR 3 (DLC: LR 3 = Adobe Lightroom 3. Read How to reduce chromatic aberration using Adobe Photoshop Lightroom) has a preset and works but doesn’t remove CA as much as could be and you’ll always need to adjust it manually. Vertical lines will lean inward when tilting down or lean out when tilting up. However often you don’t want the horizon bang in the middle for landscape shots. So pick the scene carefully and plan some extra space around vertical objects so that you can compensate it in post later on. Set focus manually, this can help you in many cases. I often set it just after the 1m mark, f/8 and everything from 50cm to infinity is in focus. Easy and quick. Portraits, yes it can be done. You can go for the extremely distorted sort of portraits (select your subject and angle carefully, you’re not making any friends!) or you can do more natural ones by not placing the subject in the extreme corners or edges and don’t get too close. It takes some practice to get it right but it can be very rewarding in tight spaces if you manage to learn this relatively difficult to master this kind of portrait look. If you shoot landscapes always look up into the sky for nice cloud formations. Since a very large part of the image will contain clouds, those formations far off will be very small, so look for large detail closer by and above you. Always try to find some subject that can go in the foreground, you can make good use of the fact that things closer by will seem very large compared to stuff farther off. So if you get it, get a CP and lens hood as well and enjoy the new lens!